We are becoming an ‘automated’ society! Everything is controllable by the touch of a button, so why not blinds too! Home automation is the latest buzz term in interior design. New home builders are now opting to connect all their electrical appliances to a home hub enabling remote access and automated programming. Now on the drive home from work a simple flick of your iPhone can turn on the lights, warm the heater up and even close the roller blinds. But, no longer is this home feature restricted to the rich and famous, motorized blinds in particular, according to The Blind Factory Director, Brett Thomas have become an affordable addition for new and old homes of all scales. Without the need for co rds and chains, motorised blinds create sleek clean lines, complementing the on-trend minimalist style featuring in the latest home décor magazines. By designing your blinds to be operated from either individual or combined remote channels, the flexibility with motorization is endless. Integration into your home automation system can mean your window coverings can be linked directly to your heating and cooling, closing the blinds and turning the heating on as the outside temperature decreases, the possibilities are endless. “Our customers are focused on convenience and flexibility, and look for ways to make sure their home styling is in harmony with their lifestyle. Motorised blinds can not only provide the designer look they are seeking but also the option to integrate their window coverings with how they live in their homes,” he said. The Blind Factory offers motorized blind systems from leading automation manufacturers Somfy and Acmedia to suit a diverse range of window configurations and budgets. The Blind Factory are a leading supplier of made to measure and made to last, quality roller, venetian and roman blinds, shutters and awnings. The Blind Factory has the experience and products to suit every home and offer a professional consultation and an industry leading five year warranty. For more information, please call 13 25 46. 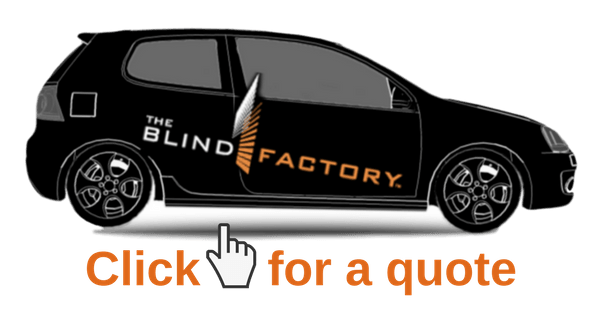 ← Meet The Blind Factory Hub!